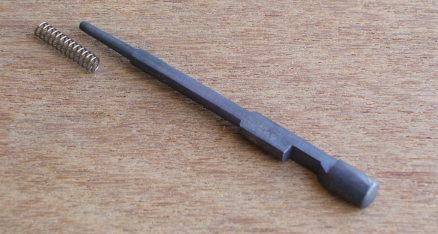 Modified military-style firing pin machined to the original Česká Zbrojovka military design from quality steel and hardened, with firing pin return spring. 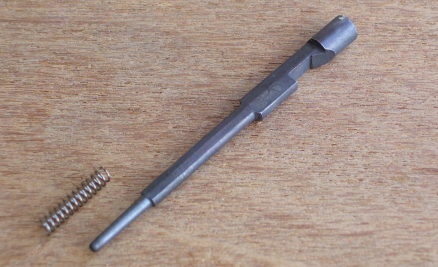 Installs just like the factory firing pin, click here for installation instructions. Eliminates firing pin tip breakage while preserving original military trigger pull weight.